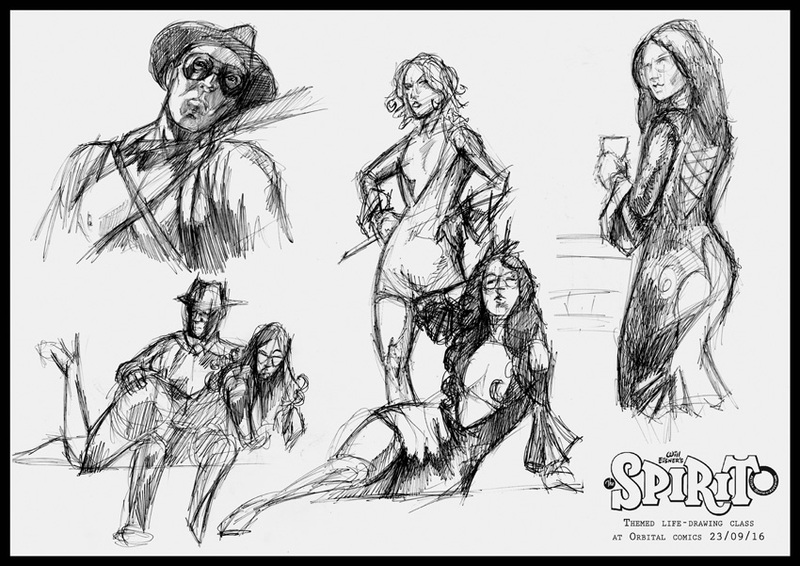 Orbital comics run host themed life drawing events in their shop in central London, the most recent being a one about Will Eisner’s character, ‘The Spirit’. Orbital recently won an Eisner award, which is well deserved, as it’s an excellent comic shop and my local one to boot! There was a series of quick 10 minutes poses, finishing off with two 15 minute ones. Life drawing is an essential practice for artists. It’s something I really need to do a lot more often!